As well as running on the new control surfaces, Vista 3 is supported by the majority of existing Vista hardware and host PC or Mac systems – see our FAQs page for details. If you can think of it, the chances are that you can create it with Vista’s powerful, yet intuitive, user interface. 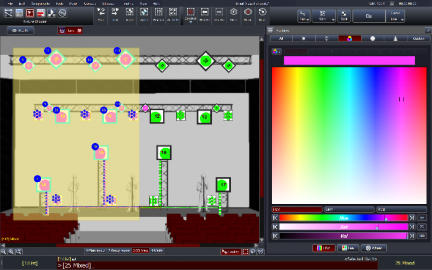 Vista gives you the freedom to arrange your stage lighting control layouts visually, in addition to being able to program lighting states graphically. Background images or photos can be added to provide additional ease of use. Users simply touch or click on the fixtures they would like to control before defining the end creative stage state they would like to achieve. The result of this is fast, instinctive operation, even for those users who have limited lighting experience. 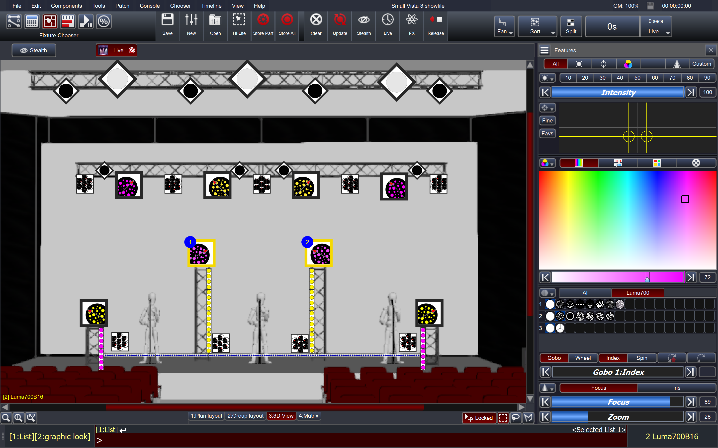 Vista’s illustrative fixture layouts dynamically change to represent your current lighting state, ensuring you have a detailed yet clear, visual understanding of what is happening on stage, with even the shortest of glances at Vista’s user interface. Vista’s generic fixture model understands how each of your fixtures works, providing consistent control methods, even if your stage technology or selection varies. This makes Vista extremely intuitive and fast to program. 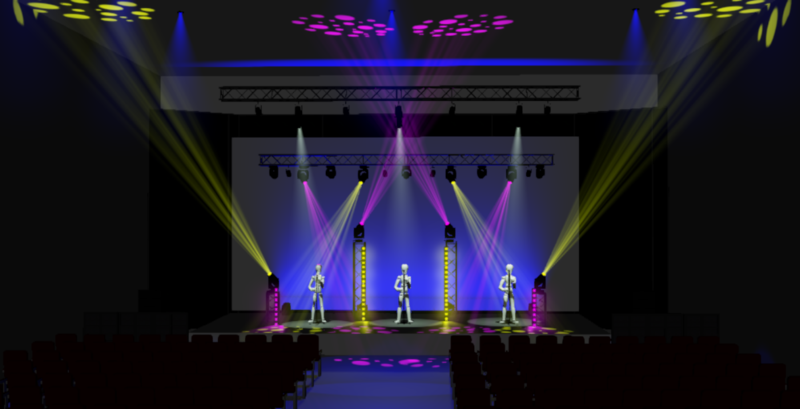 Vista’s generic model offers you the creative freedom to concentrate on, or experiment with, the show’s aesthetic design, rather than worrying about individual technical details for specific fixture types. All programmed events can be visualised against time with Vista’s unique timeline control. 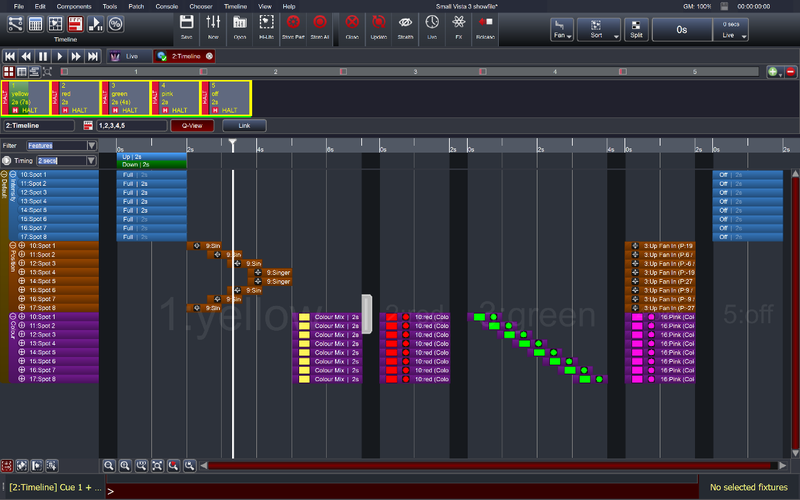 Users are able to view, program and edit whole features, right down to the finest single channel details. 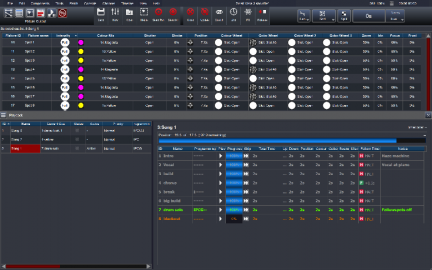 Complex event timings and delays can be programmed with simple drag and drop actions. 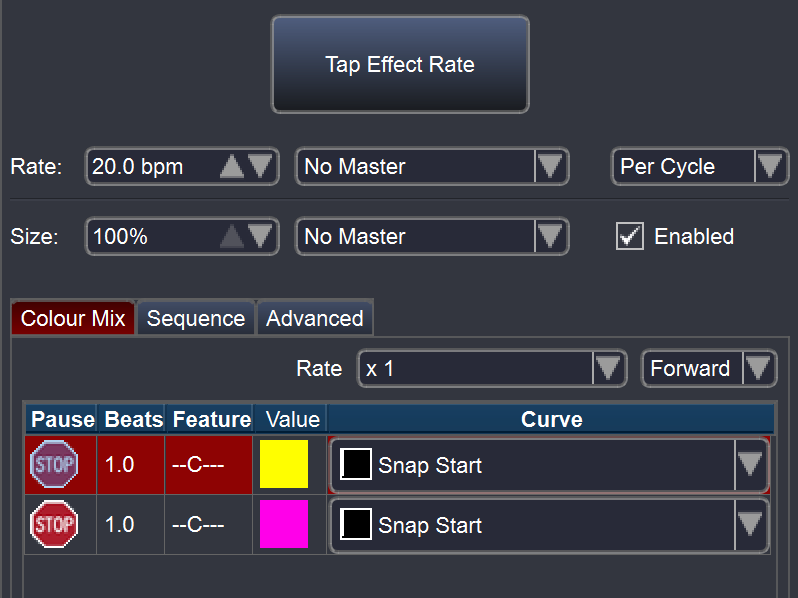 This allows you to create incredibly intricate cues easily with the accuracy to program them correctly first time. 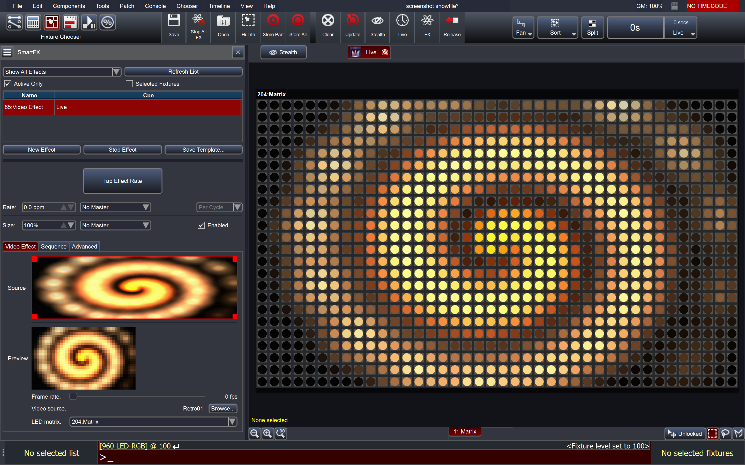 Vista’s powerful FX engine makes creating effects simple. Combining Vista’s visual interface with the generic fixture model means that you can continue to define your target effect visually and Vista will automatically apply this to fixtures you have selected. 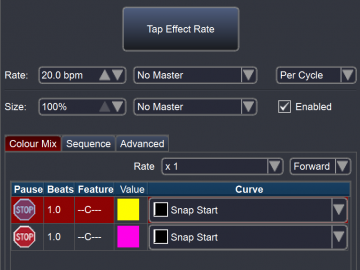 The FX rates are based on musical beats which makes synchronising effects to music effortless. 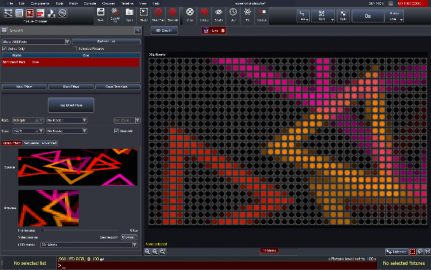 Multiple FX parameters can be combined within a single FX and adjusted graphically, making programming even the most complicated FX easy. All user FX can be saved and used in new showfiles on different fixture types, saving programming time and increasing flexibility. 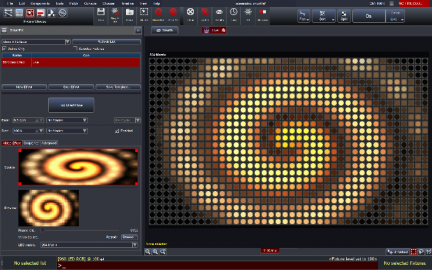 Powerful FX and animations can be pixel mapped directly from Vista, allowing users to create fantastic looking shows without the need for additional third party software or hardware. 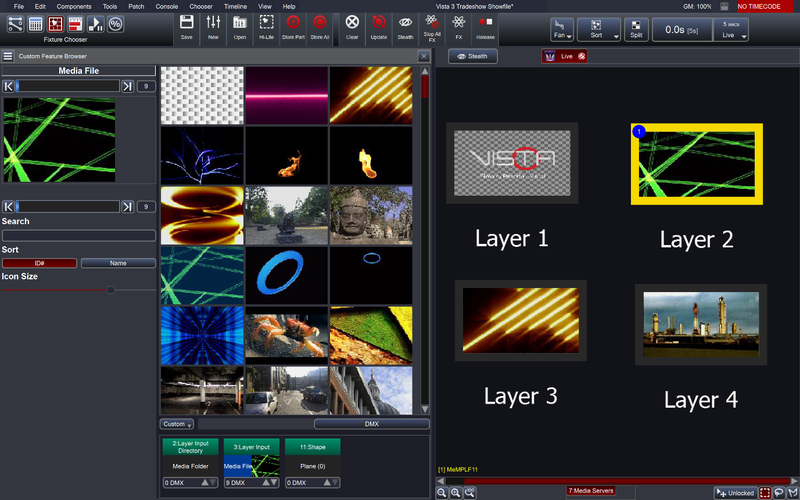 Vista offers seamless, visual, control of any media server. Media servers are controlled in the same way as all other lighting fixtures, making control of them intuitive, even for those users with no previous media experience. 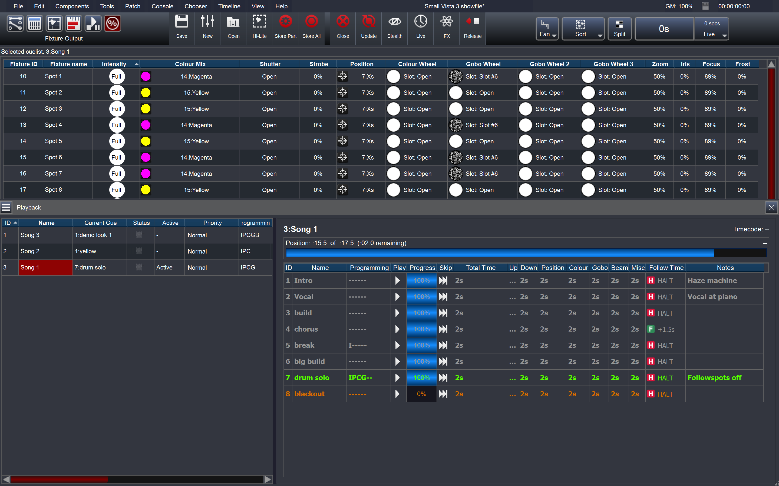 Media server content is selected and controlled graphically, even when the media servers are not connected. This makes Vista the ideal control solution for when offline programming is required. Media servers form part of Vista’s generic fixture model, which allows users to quickly adapt to any live situation whilst retaining complete visual control of all connected stage technology. 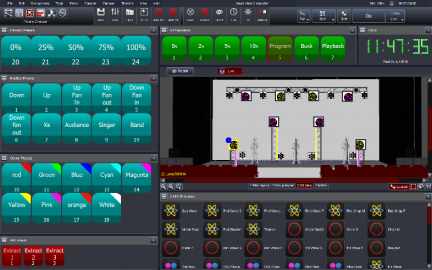 Vista’s customisable user interface and physical playback controllers ensure that Vista is perfectly suited to any scale or style of production, as Vista provides all of the tools to be able to adapt as necessary on a show by show basis. In addition to working visually Vista also offers users the flexibility to be able to program using conventional command line strings. Commands can be inputted through a touch screen interface or standard keyboard, providing accurate hands on control and many programing shortcuts. Vista’s visual workflow and the command line work in complete synergy, seamlessly allowing the user to decide upon which programming method is best for a specific task. Vista’s syntax structure and layout should be instantly familiar to those users who are new to the Vista ecosystem. Vista operates natively on both Windows and OSX operating systems. Software operation is identical on the two platforms and showfiles can seamlessly be transferred from one operating system to another. 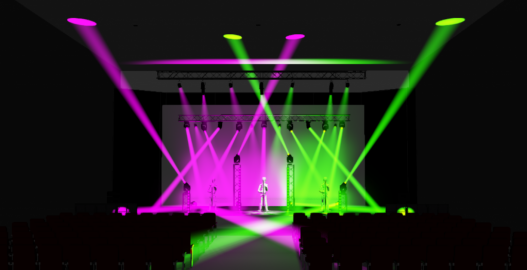 Modular, expandable, DMX channel licenses ensure that you have the flexibility to expand your lighting control system as and when you need to. Vista 3 - Think it, Create it, Do It.